With help from Top Knobs decorative hardware, designer, interior decorator & TV host Vicki Payne helped her client Bill create a new construction home that was completely his own. 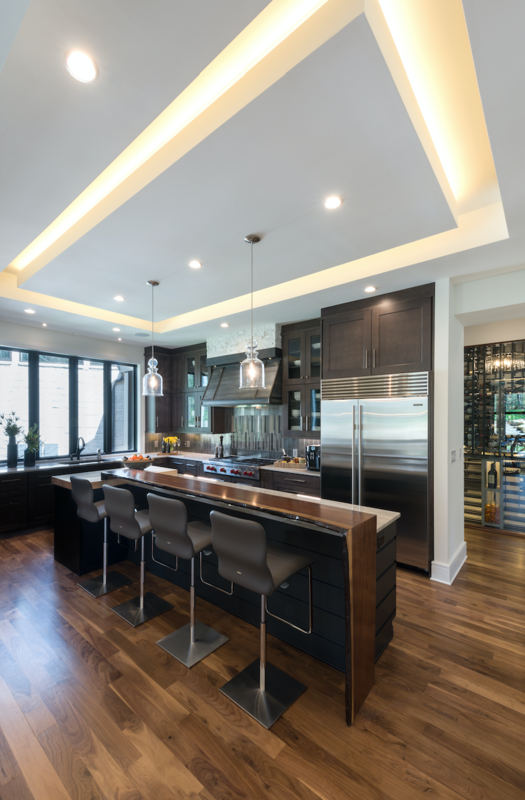 The client, a 50-year-old bachelor, wanted an open concept layout with wide open spaces, expanded living areas, a first floor master suite, floor to ceiling glass windows, wood and stone exteriors, three car garages and as much outdoor living space as possible. Most importantly though, Bill wanted to be as involved as possible in the building of the home. 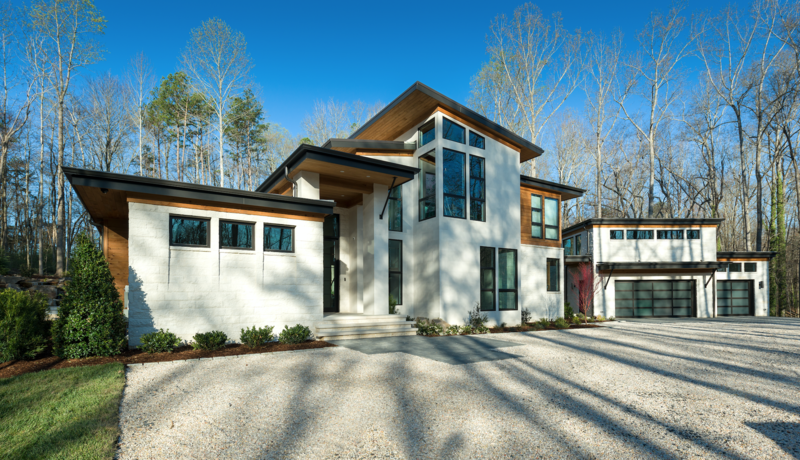 The contemporary home, known as the True Residence, is located on a 2 1/2 acre wooded lot in the SouthPark neighborhood of Charlotte, NC. With a long wish list for this dream house, the new construction took over 18 months to build. Once complete, project coordinator Vicki Payne took over to turn his interior dreams into a reality. With a love for cooking and entertaining, Bill likes for the party to start in the kitchen. Vicki selected maple colored kitchen cabinets with two different finishes. To complete the look, Bill wanted something sleek but not too dainty for his decorative hardware, which is why Vicki opted for a combination of knobs and pulls from Top Knobs Sanctuary Collection in a Brushed Satin Nickel finish for the perimeter cabinets. 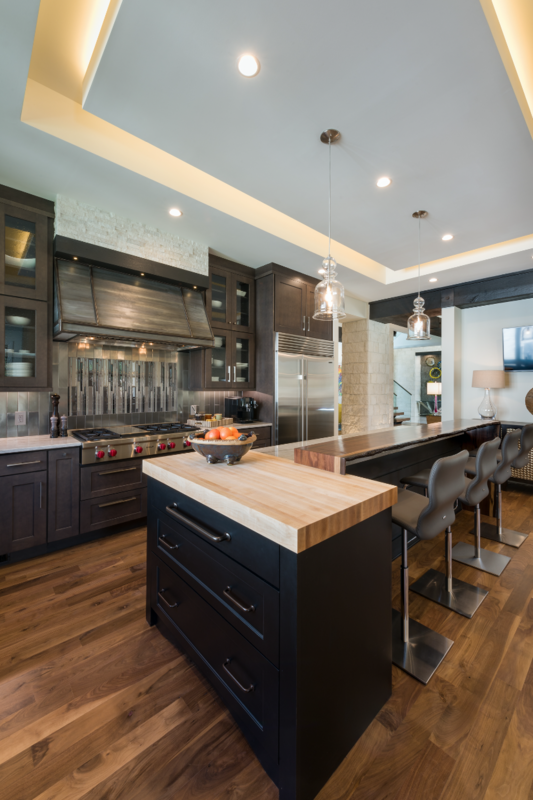 Pulls from the Aspen Collection were used to accessorize the Middle Island cabinets. 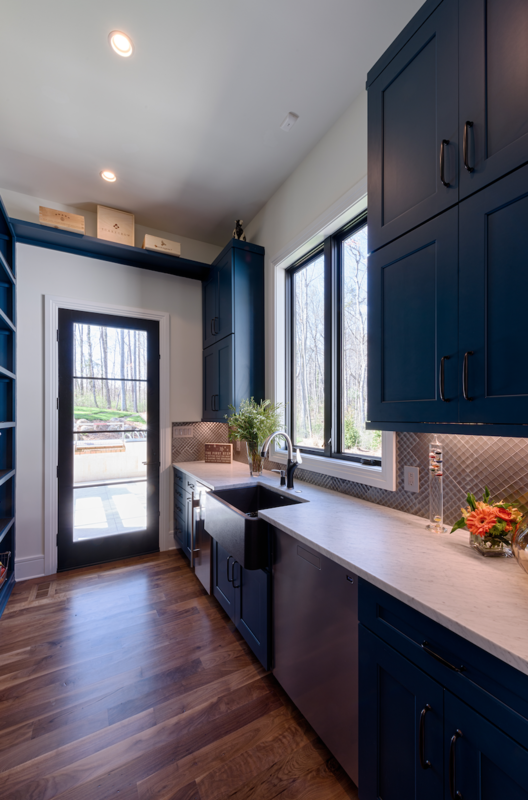 Located between the indoor gourmet kitchen and a custom outdoor kitchen, Vicki designed a scullery which incorporated built-in cabinets, countertops, a farmhouse style sink and a dishwasher for discrete prep and clean-up during large gatherings. 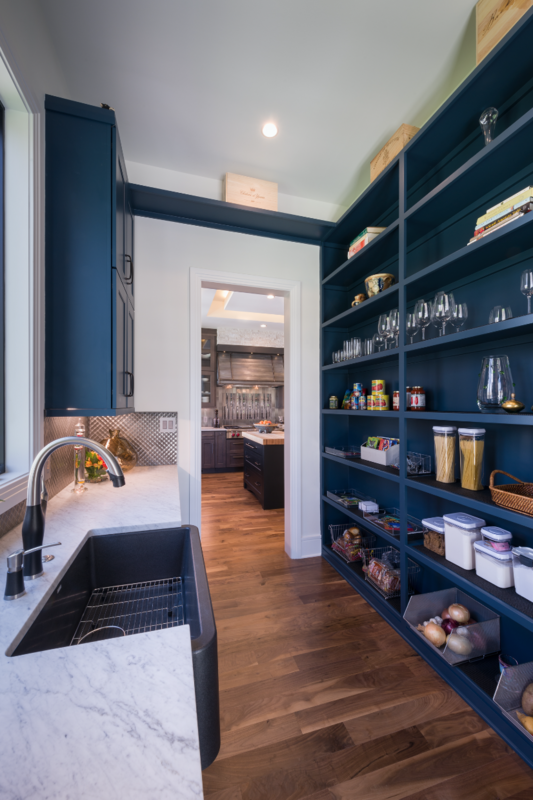 The deep blue colored cabinets were decorated with Tuscan Bronze pulls from the Top Knobs Dakota Collection for an easy to grip, strong and dependable pull. 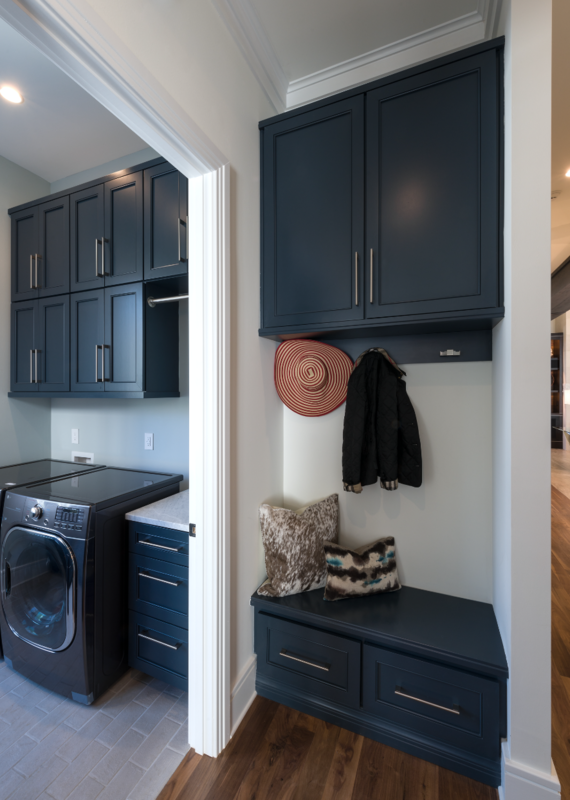 Sticking with the deep blue theme, a laundry room with a vast amount of storage space features blue cabinets and dark appliances. 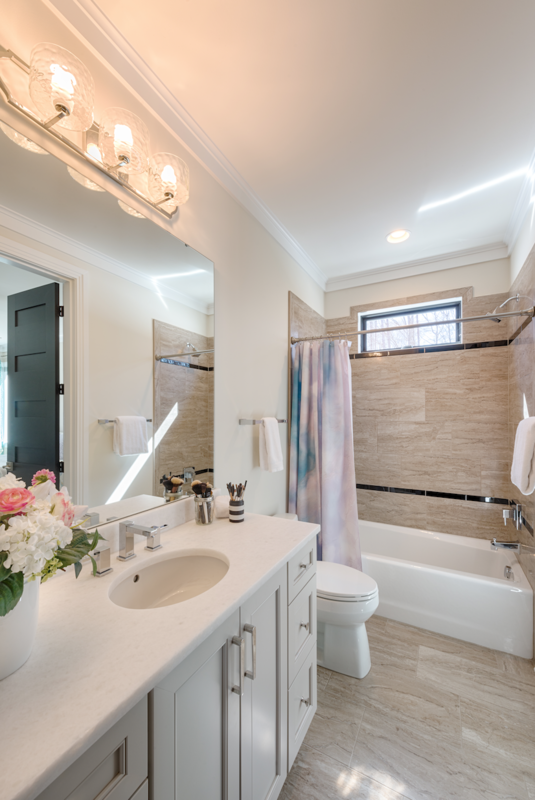 To add a pop of brightness to the room, the walls and floors were finished with light colored tile and paint, while the cabinets were made complete with Top Knobs Princetonian Bar Pulls in Brushed Satin Nickel. 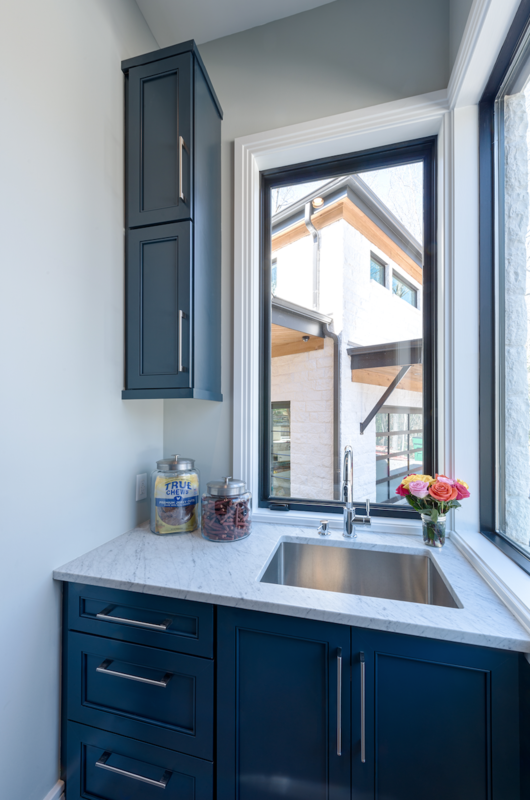 A tall window overlooking the laundry room sink adds light and dimension to the space. 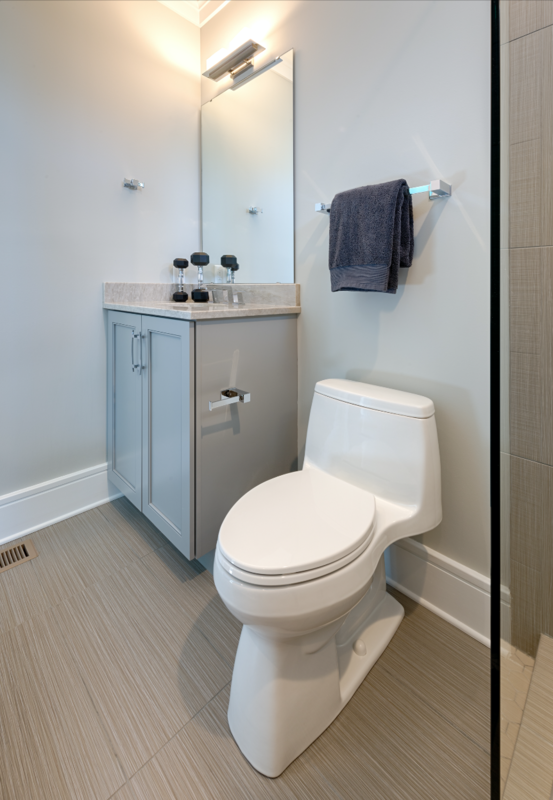 Keeping the contemporary theme alive, the gym & guest bathrooms feature two of Top Knobs popular styles of the present day. 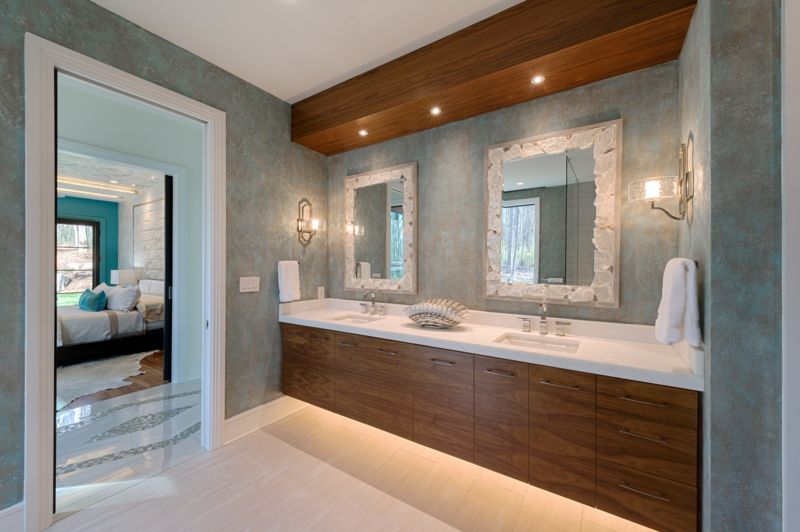 In the gym bathroom, Juniper Berry Diamond cabinets are finished with pulls from the Top Knobs Sanctuary Collection while Clover Diamond cabinets in the guest bathroom are accessorized with Polished Steel knobs and pulls from the Top Knobs Stainless Steel Collection. Last but not least comes the master bath. 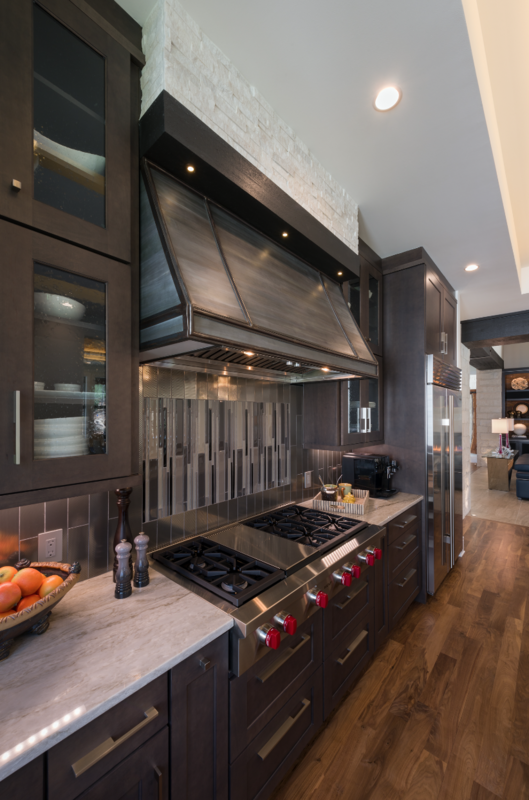 As one of only two rooms in the house with custom cabinets, the mahogany colored horizontal wood grain design required custom fabrication resulting in a completely unique look. To finalize the feel of the space, Vicki chose Top Knobs Arched Pulls from the Sanctuary Collection in a Polished Chrome finish. 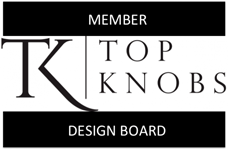 Thank you, Vicki, for choosing Top Knobs to adorn Bills’ new home! See Vicki Payne’s entire project in a 10-part series entitled “A Space of His Own” starting here.